I don't mean to freak you out, but this is the most important Arsenal match that has ever been played, ever. Okay, that might be exaggerating a smidgen, but with so many fixtures coming up (Arsenal is scheduled to play approximately six hundred and fifty-five matches between now and the end of January,) getting the ball rolling on another winning streak as soon as possible is really important. LIKE A NEW SIGNING TIME! It is absolutely painful that Arsenal have not yet even looked close to splashing cash to shore up any of the gaping holes in the depth of this team. On the other hand, Abou Diaby is capable of wearing a kit and running around, so it's like having a new midfielder. Also, Andre Santos is back, so Arsenal once again has unreliable cover for Kieran Gibbs. And, before anyone else says it, signing a player you already had in the line-up to a new deal is not like a new signing at all. Theo Walcott is currently already playing for this team. He is not a new signing in any stretch of the phrase, even when (if) he does sign da ting. Anyway, the injury news is as light as I've ever seen with Arsenal. Olivier Giroud took a gash on the knee during the Swansea match and has not trained all week. Gervinho is gone to the Africa Cup. Lukasz Fabianski may or may not still be a goalkeeper. Maybe he's the striker we're all looking for. Then again, Nottingham Forest are rumored to want him on loan. 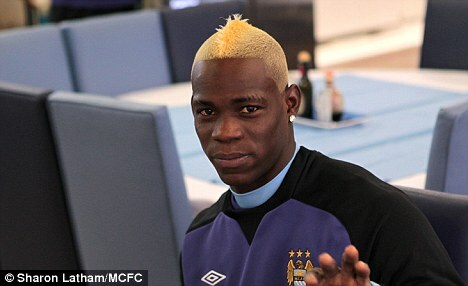 Possibly as a striker, I don't know. Between the two teams, City certainly have the line-up that is more depleted through injury, international duty, and suspensions. Firstly, Samir Nasri will miss out on the opportunity to be booed mercilessly, as he serves the third of a three match ban for his red card against Norwich. How convenient; I almost wonder if he planned it. FYI, is Manuel Almunia, who missed out through injury. Well, the good news about Arsenal's form is that they haven't lost a match in a while. In fact, when you consider that losing on penalties equals a draw in the form discussion, Arsenal have not lost since the Olympiacos match in early December. That is a bit misleading, of course. Arsenal had their four game league winning streak snapped in a draw with Southampton on New Year's Day, then blew a late lead to draw Swansea in the FA Cup at the weekend, so the best word to describe Arsenal's form right now is probably "ehhhhhh." In home matches, Arsenal have already lost three times this season (Chelsea, Schalke, and Swansea.) Arsenal lost four times at home all of last season (and that includes a Carling Cup loss to Manchester City,) four times the year before (2010/11), and only twice the year before that (2009/10). As for Manchester City, they have lost just twice in the league this year, yet still manage to find themselves seven points back of table topping Manchester United. City made it 15 league games before succumbing to their first defeat, 3-2 at home to the aforementioned Red Devils (who really must have some sort of deal with Satan to keep pulling off the results they do.) City have since been better than average, but not as good as they could be. They had close wins over Newcastle, Reading, and Norwich and a loss at Sunderland before churning out back-to-back 3-0 wins, one over previously unbeaten-in-10-games Stoke and one over Watford in the FA Cup. With the exception of a few outliers, Arsenal and Manchester City matches over the last three years have been relatively low scoring. All three meetings between the sides last year ended 1-0. The reverse fixture this season ended 1-1. 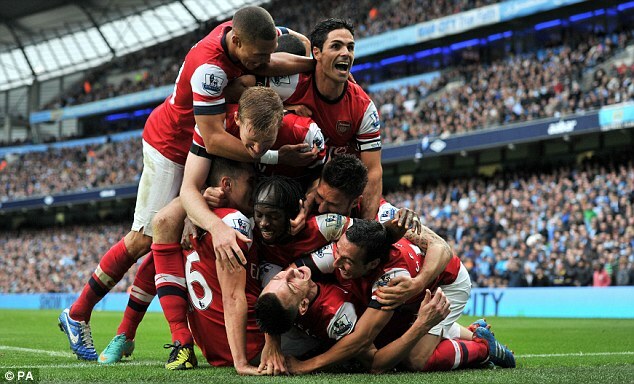 Two years ago, Arsenal won 3-0 at Eastlands (an outlier brought about by a fifth minute red card) and drew 0-0 at home. Three years ago, City won big in two meetings at home, but drew 0-0 at the Emirates. Recent things first, let's talk about the reverse fixture, which ended in a 1-1 draw that felt like a win at the time (oh, how foolish were we at the time, talking about how this team had the mental resolve to win big this year.) Arsenal dominated the run of play, but conceded just before halftime entirely because zonal marking is the worst thing in the world. Arsenal leveled the score in the 82nd via Laurent Koscielny, banging in a failed clearance from a corner. It was another late goal from Arsenal in this match last year, as Mikel Arteta scored in the 87th to give Arsenal a 1-0 lead, before Mario Balotelli's second yellow card reduced City to ten men for the end. City had previously beaten Arsenal 1-0 in the league at Eastlands (via a David Silva goal in the 53rd minute.) A strong City side knocked Arsenal out of the Carling Cup in the quarterfinals last season, winning 1-0 at the Emirates via an 83rd minute Sergio Aguero goal. All things considered, in league play, Manchester City have not scored at the Emirates in their last five tries. City's last league win at Arsenal in North London was on October 4, 1975, by a 3-2 margin. attempt to inform him that the assistant is telling him no. Oh, you have got to be kidding me. It's Wirral-based Mike Dean? Again? The last time Arsenal saw Mike Dean, they lost on penalties to fourth tier Bradford City. While that result is not down to the referee's performance (though I recall he wasn't a great help either,) it just furthers this now statistically significant phenomenon that Arsenal struggle to win when Dean is involved, moreso than they do with any other referee in the game. Arsenal's form with Dean is now D-D-L-D-L-D-L-L-W-L-L-D-L-W-L-D-D-L-D* (since losing on penalties is a draw that gets an asterisk.) It's two wins from 19. On a positive note, Dean did work the reverse fixture at Eastlands and wasn't horrible. On the other hand, Manchester City have only lost two of their last 18 matches with Mike Dean in the middle. Their form streak is W-D-D-W-W-D-L-L-D-W-W-W-W-W-W-W-D-W. That one draw over the last nine matches is against Arsenal, however. 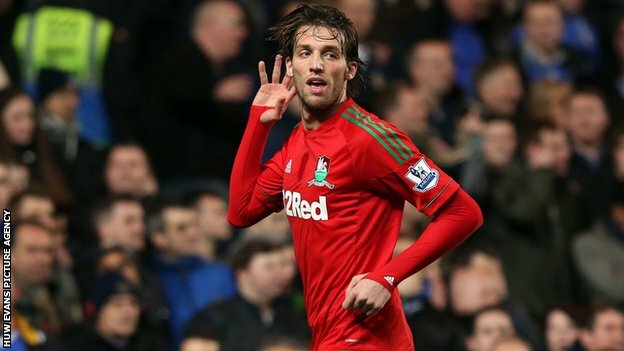 Michu for Ballon d'Or 2013. Super Sunday is just as super as it was the last time this round of fixtures was played; Arsenal v. Manchester City closes out the weekend's slate of games, with Manchester United hosting Liverpool at Old Trafford preceding it. As for Saturday, there's one early game, no late game, and seven 10:00 a.m. Eastern kick-offs. The early match is a London derby, as QPR (who have beaten fewer Premier League teams this season than Bradford City) host Tottenham Hotspur at Loftus Road. QPR have played two of the top six teams at home so far this season, and got draws from both, against Chelsea and Everton. There's also the wrinkle of Harry Redknapp facing his old side. But really, at 7:45 on a day Arsenal isn't playing, I'm probably not waking up for this. In the seven other matches, Stoke City (who had their unbeaten streak snapped at 10 by Manchester City on New Year's Day) host Chelsea at the Britannia, Aston Villa host Southampton at Villa Park in what is basically a relegation six-pointer, tied-for-dead-last Reading host seventh place West Bromwich Albion at the Madejski, Sunderland host West Ham at the Stadium of Light, Fulham host Wigan at the Cottage, Norwich host Newcastle at Carrow Road, and in by far the most intriguing match-up, Everton host Swansea City at Goodison Park. These are the reverse fixtures of those played the weekend of September 22-23.